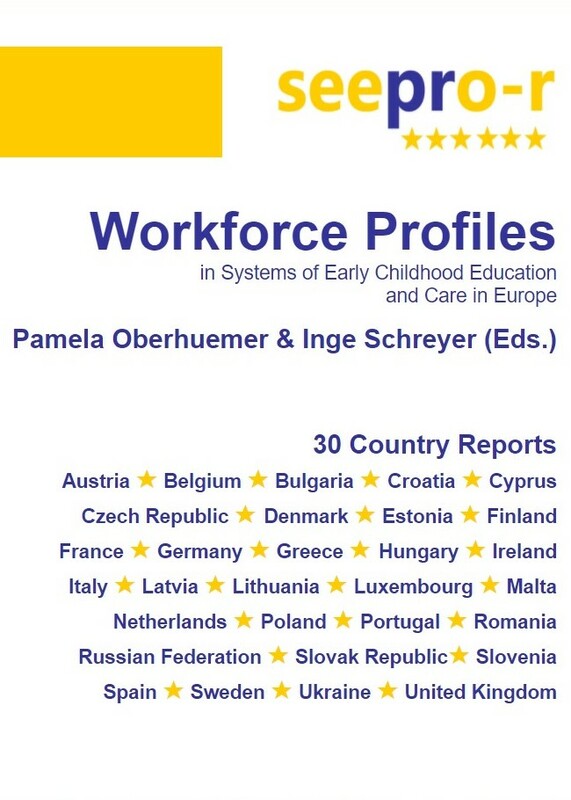 Below you may download one of the 30 Workforce Profiles (country reports) on the current status quo regarding the qualification requirements for early childhood education and care professionals (pedagogues, teachers, educators), the composition of the workforce, the systems of initial professional education and continuing professional development, current reform initiatives and research projects and selected aspects of the working conditions of staff in each of the 30 participating countries.The initial Workforce Profiles in Systems of Early Childhood Education and Care in Europe were provided by mostly long-standing cooperation partners according to a research specification which they received for comment before compilation of the data. The final versions are based on a long period of close collaboration between the editors and the authors. The reports vary in length between approximately 25 pages and 80 pages.SEEPRO-R takes a look at many of the new fundamental reforms including, qualification and competence requirements for early childhood workforce and the structures of professional studies and continuing education. More on the SEEPRO-R project here.